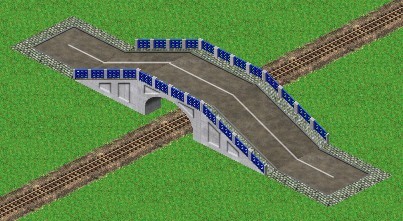 This short tutorial is about building bridges and tunnels with half height versions of pak128 (pak128 2.5.0 and higher). It is aimed at both beginners and advanced players who want to update their pakset. It was written since there is great confusion for these players regarding half height building mechanisms. By default, ways can be built on either smooth slopes (half height) or steep slopes (full height). However, some ways got their ability to be built on steep slopes removed for realism purpose. Notably, rail tracks and fast roads can't be built on steep slopes. Beginners, please note that taxiways and runways (airport's ways) can't be built on any slope. Moreover, all ways still occupy a full height space above it, this means that you can't build a bridge only a half height over a way. Please note that the same applies to tunnels, there must be at least a full height difference between two tunnels for one to pass over or under another. Take care of navigable rivers, these are counted as ways and you won't be able to build a bridge only half height over it. Advanced players can work around this by downgrading the river with river tools available when playing as public services. First difficulty is caused by a game mechanism which is quite broken. 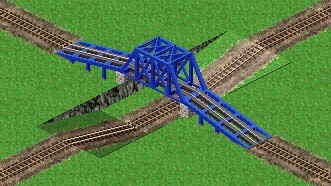 Before Simutrans 120 players were used to build bridges by clicking one way end with the bridge tool and it was automatically built, wether the other end was prebuilt or not. If you try building a bridge with both ends already built, it won't work. You have to build the bridge with zero or one end already built. 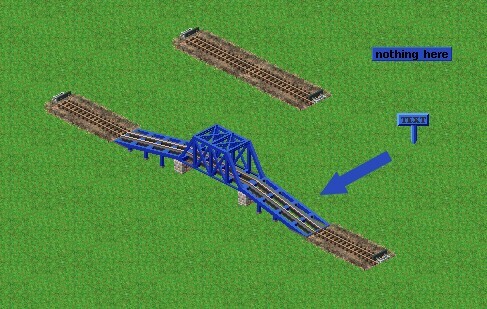 Also, you had better use click'n drag mechanism (keep mouse key pressed and draw your bridge until its end). Note that you can use elevated ways to get more flexibility in building of some bridges. Even if half heights are included into the pakset, the game's terrain generator has not been adapted to half heights. Thus you will get nearly only half slopes in your world, but tunnels still need a full slope to build an entrance. So you will have to terraform. 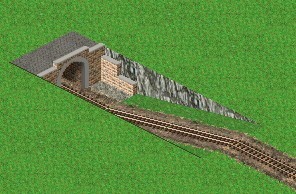 Also, as you can't build a track piece on a steep slope, you have to build the tunnel entrance (click for full straight tunnel, ctrl+click for entrance only) directly on the slope, without any pre-existing piece of way. Underground building rules have not changed. 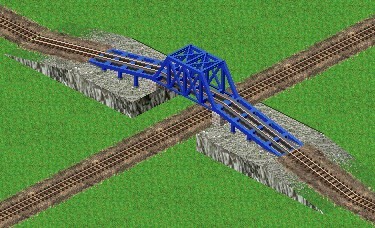 To make a track pass over or under another, they must have at least a full height difference between them. I hope this short tutorial helped you. Feel free to ask any question in the answers. Relevent questions will be added to this post. 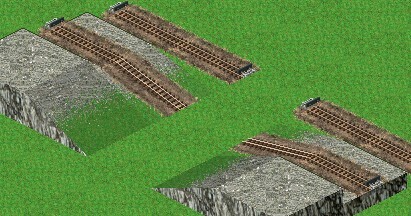 There used to be a config where you can build bridges over rails/roads that are only half-heights (instead of the default full height). What happened to it? I am not aware of a such config so I can't help you :/ Try asking in help request forum. It should be an option in simuconf.tab. I dont recall it now. Typing on phone. There is a setting "way_height_clearance" under "Economy and cities" it is preset to 2, but if you set it to 1 you can build lower bridges. 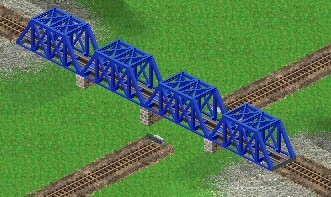 You might get some odd clipping for some bridges, though.